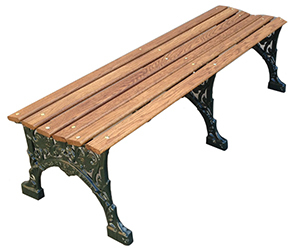 Developed with old world charm, the Renaissance Series backless wood park bench adds a historic aesthetic virtually anywhere. Modern made to style and form with it's origins in 16th century design, constructed utilizing 2-1/2" x 3/4" thick white oak or IPE wood slats accented with the intricately detailed powder-coated cast aluminum frames. 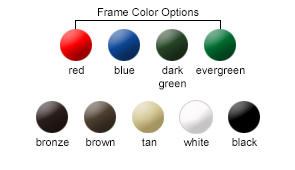 The 2', 4', 6' and 8 bench lengths and variety of color options makes it easy to tailor to needs. Ready to meet installation requirements complementary surface mount pilot holes are available.